A Simple Workshop: "Waking from cancer..."
"Waking from cancer, I fell into an unexpected loss of ambition, and the milestones by which I wanted to engrave my image on the world scattered." 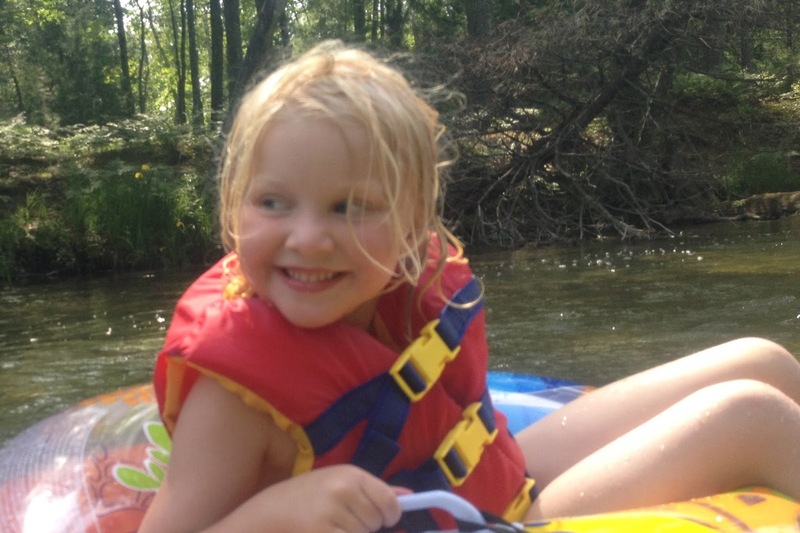 Chloe, tubing the Platte River last week. My six-year-old daughter, Chloe, was diagnosed with a stage III Wilm's Tumor two years ago this week. Thanks to God, she's doing great. The changes that the arrival of cancer brought to our family were immense, innumerable, and life-altering. While we would never invite cancer into our family, my wife and I can readily cite hundreds of positive changes that it brought to our family. Life-threatening illnesses have a way of doing that. Yet, from my vantage point, my working world has never quite recovered. Maybe that's why the quote from Mark Nepo resonated with me this morning. In so many ways I feel like my pre-cancer goals, my milestones, disappeared and I've spent the past two years trying to figure out where I'm headed professionally. However, I've begun to wonder if it's okay to not know exactly where I'm heading. Maybe it's okay to just show up each day, ready to learn, ready to question, ready to listen. Present to the possibilities.